"Mellon will not be happy that his side let points slip in the week after they severely dented play-off pretenders Carlisle and Colchester's hopes in successive weeks." How likely is unlikely? How are the Silkmen to gain sufficient points to stay up having spent as long as they have struggling at the foot of the table? 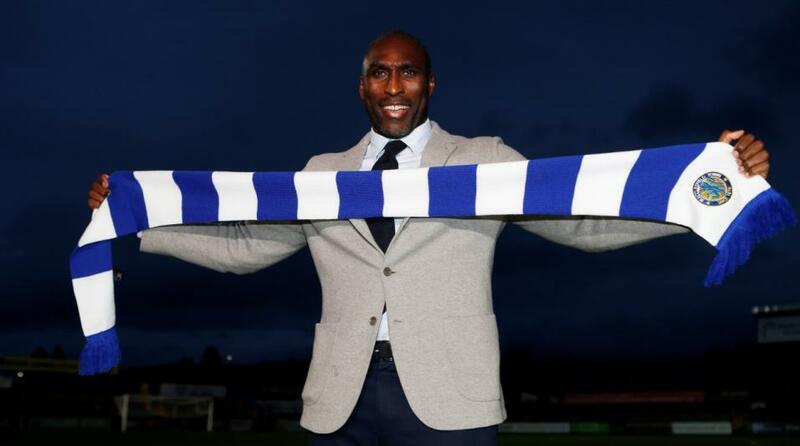 Sol Campbell might have been brought in, and appointed Andy Cole on a part-time basis, but really they couldn't afford to. On Wednesday the staff were still waiting for their March wages. Football is an expensive business. Court appearances for winding up orders are too. But relegation, insist chairmen nationwide every year, risks people's jobs on and off the field. Macclesfield have only just come up of course. They battled hard to do so. Then the manager left and they appointed Mark Yates, who seemed like a good fit but couldn't produce results. Now Campbell is trying to galvanise, and succeeding lately to an extent. In the past 12 games they have scored in all but one, won three (although Opta point out it is just one win in 10) but have also drawn five, which might not sound much but is an improvement on previous. That's two defeats in eight if you want to read it that way, with points against the likes of Lincoln (last time out) and Colchester who have genuine promotion chances. It's interesting that their last six goals have all come from different players, showing their capabilities - two defenders, two midfielders and two strikers, Scott Wilson, who has reached 10, and Harry Smith. They are still conceding goals, but you could argue that now Campbell and Notts County's Neal Ardley have bedded in, Yeovil have blinked first in the relegation dogfight by firing Darren Way. The Glovers are tantalisingly close, although the Silkmen need to improve their goals record as well as their points. Have Morecambe, meanwhile, tailed off after a run of results that surely puts them safe, 10 points above the bottom, with six games left? Jim Bentley's men have found recent strength to win against the likes of Milton Keynes (4-2 to boot) and Forest Green. But it's surely no coincidence that the two games they haven't scored in out of their past three have been away, holding Notts County before losing lavishly at Swindon. They won at Oldham and Port Vale in succession though, so can't be dismissed. Liam Mandeville stole the glory of the goal from Carlisle loanee Richie Bennett and Wolves player Aaron Collins, who has netted four times in the past two months. I'm tempted to go for over 2.5 goals as both sides go for the jugular, at 2.2, however Morecambe have kept four clean sheets in ten games. There could be fun and games if Opta are taken at face value. The hosts have dropped 27 points from leading positions this season. They would be in the play-offs with those points. But while I am not sure the Shrimps will manage a clean sheet this time, but they might have less determination to match Macclesfield for strikes and hosts will eye this as a real chance to win. How likely is unlikely? Mark two. Only one of the three true candidates can stay up (Crawley are seven/eight points above the bottom three and seem unlikely to be caught over six games, even thought a tricky game with Forest Green beckons and they still face Yeovil and Notts County). Notts County's escape attempt has also been stop-start - and Neal Ardley says it doesn't help having the monkey of being the oldest club in the Football League on their back. It just adds to the pressure for a squad who were in the top three for much of last season. 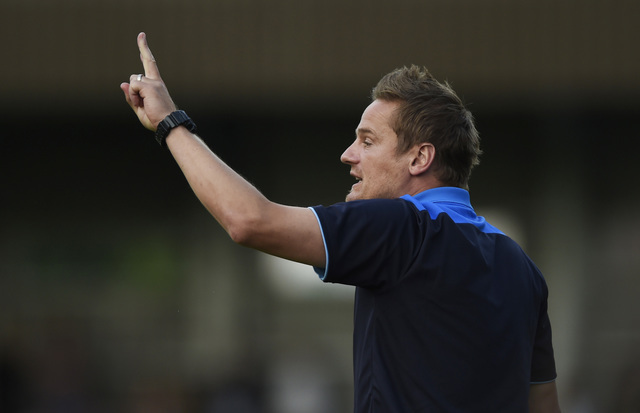 Ardley would love to have the form of his former club, AFC Wimbledon, who have four wins and a draw in six and, having been rock bottom of League One when he left, are now just goal difference away from safety. Having not scored in two games, they returned to net three, this time against Stevenage with little to play for in mid-table having also bagged three at Carlisle. They seem to have trouble scoring at home - none in the last three and one each in their previous three. It's one win in nine at home for the Magpies, say Opta. Crowd on their backs at Meadow Lane? They need to support Enzio Boldewijn, Kane Hemmings, Craig Mackail-Smith and co. While, overall, Northampton's away form doesn't look that hot - six wins, draws and defeats - they have three wins and two draws from their last six on the road, midfielder Daniel Powell scoring the most in that group of results. He could do with more support from Junior Morais and Dean Bowditch. At least Morias will be back, with George Cox, Jordan Turnbull and Shaun McWilliams who started last weekend, but the Cobblers' draw fests have been away. However, the Magpies don't seem to have much confidence at home. It's desperate times, but the hosts might have to settle for a draw in hostile circumstances. I'm taking a few chances here backing Tranmere. Using up my lives, but not for the obvious reason you might think - that they lost on Tuesday. Everyone is allowed a midweek upset. Cambridge to win at Bury? Anyone back that who isn't a U's fan? Micky Mellon's team were due a reverse. And a defeat blows cobwebs away and reinvigorates. They have come so close to edging into the top three with eight wins and a draw out of the previous nine before losing to Oldham. In that time they took seven clean sheets. Three straight wins away for James Norwood and those who can support his 27 goals in League Two this season, such as Connor Jennings and Emmanuel Monthe. The barrier to another Rovers win here is hosts Newport, who have won two on the bounce to revive their faint play-off hopes. They have failed to score in three of their last six, but have won three of their last four at home without conceding, while letting in just once in their defeat to Milton Keynes. Michael Flynn's men have only lost three at bumpy Rodney Parade all season though. It's a six point leap to the play-offs though, so Padraig Amond, involved in 20 goals this season, will need to be at his cup match winning best to cajole the Exiles into conjuring the difference in points. (At some point, though, the Welsh club have to turn their cup pedigree into league points. Maybe next year). Left-back Vashon Neufville has now returned to West Ham. Dan Butler has come back into the side of course, but one hopes 19-year-old Neufville - out of contract with the Hammers - will find more action having got a great taste by assisting for a goal that helped beat Leicester in the FA Cup. Mellon will not be happy that his side let points slip in the week after they severely dented play-off pretenders Carlisle and Colchester's hopes. I'm not sure Matt Taylor can work out Exeter and their topsy turvy form, so I'm not going to try as they travel to what should be a winnable game at Cheltenham (but for the Robins home record being better than the Grecians' away). So, I'm going to take the plunge on Forest Green, who have been equally baffling at times but who do have 10 league away wins, the second highest in League Two behind leaders Lincoln, to take to Crawley. Gabriele Cioffi's hosts seem tame enough, just above the relegation zone but far enough to seem safe. They might have the best home record, points wise, in the bottom eight, and the only positive goals difference among those teams on their own turfs. However, losing three on the bounce and taking one win overall in their last 10 games (failing to score in six) doesn't inspire confidence, even if the only match they have actually lost in that time at the Broadfield was to Lincoln. There seems to be an over reliance on Ollie Palmer who has scored four of their six goals in that time. Yes, just six goals in ten games - and one of them an own goal by Crewe. So Forest Green should at least have the guile to prise them open, even if Christian Doidge hasn't been at his prolific best since his abortive transfer to Bolton. Rovers have been scoring - seven in four games, five of those away - and have won the last two away by two and three. Midfielder Reece Brown's goals could be called on again. He's scored in every other game since netting at Lincoln, 10 in total this campaign, one ahead of Doidge. Mark Cooper's men, who lie sixth, need to emphasise their play-off credentials and keep the chasing pack at bay by extending that +12 away goal difference. And if Reuben Reid, prolific over the years, can't help, George Williams, who has replaced him from the bench regularly recently, probably can. Opta point out that Crawley have lost their last three with an aggregate score of 10-1, while Forest Green have kept two clean sheets in a row away, and a third would set them a record for their time in the Football League.